The upper is constructed from high quality split leather and Teramida SL with a rubber toe cap for an excellent combination of durability and light weight. Our HFS™ (Heel Fit System) keeps your heel secure, while the CFS™ (a softer area at the rear of the ankle cuff and top of the tongue which allows unrestricted fore/aft leg movement) gives superb freedom of movement and comfort. 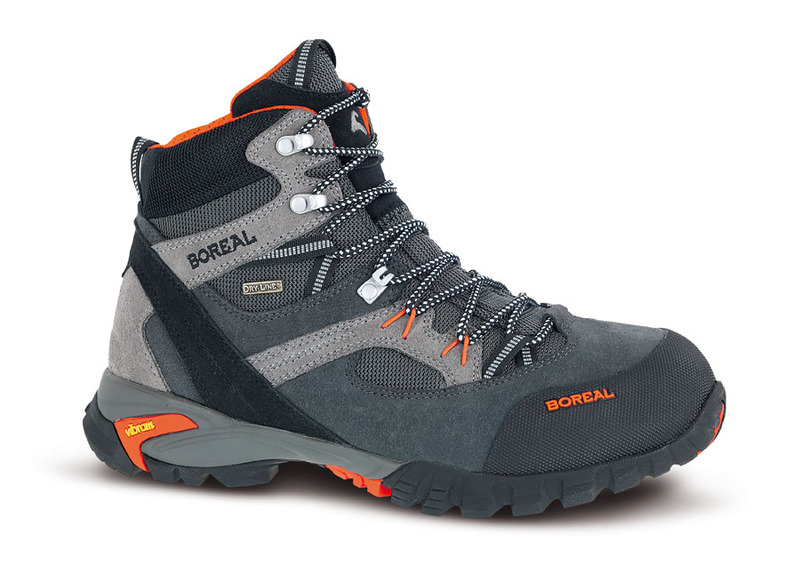 Our Boreal Dry-Line™ waterproof and breathable lining keeps the foot dry and comfortable, and the PXF midsole provides ample support on rougher ground or when carrying a pack. The Vibram Nuasi™ outsole is grippy and durable, and features a shock-absorbing PU layer for underfoot comfort. Apache is ideally suited to 3 season fell walking, trekking and backpacking.